Holy Falafel Great Business Opportunity for Syrian Refugees in Canada and USA | Holy Falafel & Shawarma House Restaurants Ltd.
January 14th, 2016 – Holy Falafel & Shawarma House Restaurants Ltd, Langley, British Columbia, offer a unique and proven business system and opportunity for Syrian and other Middle Eastern and world Refugees here in Canada as they start their new lives, capable of supporting thriving families. 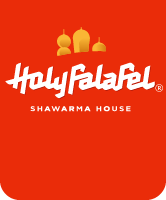 With financing assistance available from our lending partners, Holy Falafel’s successful, healthy, Fast-Casual Middle Eastern Grill franchises are built on North American high quality operational, management, and health/safety restaurant standards. We understand the importance of not only the great food and service that people from the Middle East know and love, but also a solid, high quality professional business and marketing operational foundation modeled after the very best Canada has to offer. Restaurants often don’t fail because they lack an understanding of food and service – They fail because they do not understand the complex operational and back-end support demands of their business (Mgmt, Administration, HR, Finance, Training, etc.) and often lack critical accurate knowledge about their marketplace, supply chain, and local culture. Unlike our competition, Holy Falafel has all the pieces of the puzzle already mastered and packaged into an efficient, award winning, professional system for our franchise business partners. 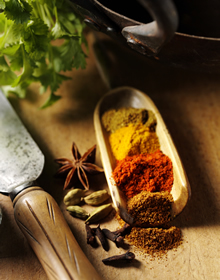 We are very well positioned in our marketplace to capitalize long-term on changing consumer food preferences. Let us show you why and how we are outselling typical ‘donair’ shops by more than 4:1, while competing against and taking significant marketshare from the likes of Subway, McDonalds, and Tim Hortons with our high quality modern popular restaurants. Join us with a longterm stable investment in success for you and your family as you transition into Canadian life with the food you know, and a solid Canadian built, proven, professional business model that competes against the best and wins. We’ve Gone Way Back to the Past… To Bring You the Future of Fast-Food. Real Food. Real Service. Holy Falafel.